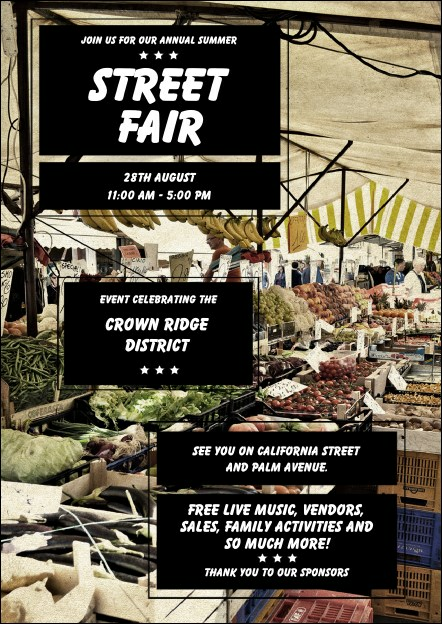 Help develop the local economy and build stronger connections when you pass out the Street Fair Market Postcard in advance of your next event. Fill in fourteen lines of text to the template below so everyone knows all the event details. Celebrate the local bounty with the image of fresh fruits and veggies for everyone. Promote your community event with a Matching Event Kit from UK Ticket Printing.